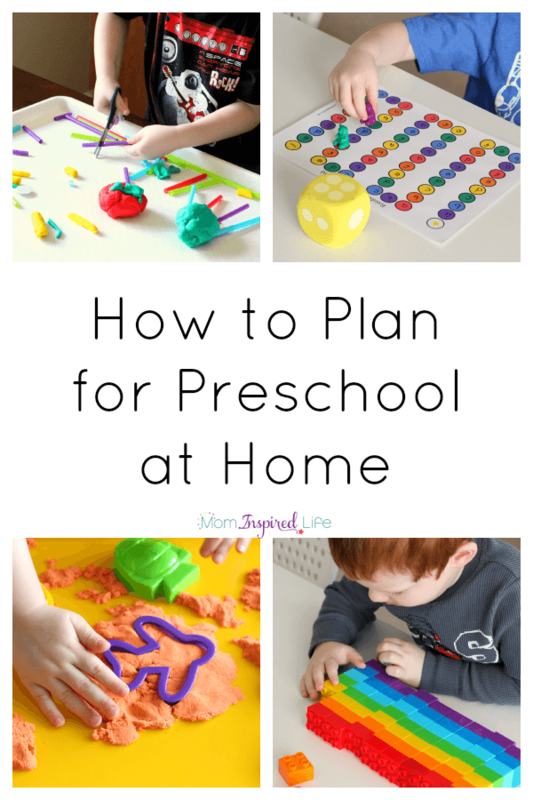 Are you wondering how to plan for preschool at home? I was wondering the same thing days ago. Then I sat down and came up with a plan of action. I want to start by saying that every child is different, so there is no best way to plan for preschool at home. This is simply the way that works best for us. I hope that it will work for you too. At the very least, I think you will be able to take some ideas from what I am doing and adapt them to meet your family’s needs. How Should I Teach My Preschooler? The first thing I did to start planning was to make a list of ways my son learns best. 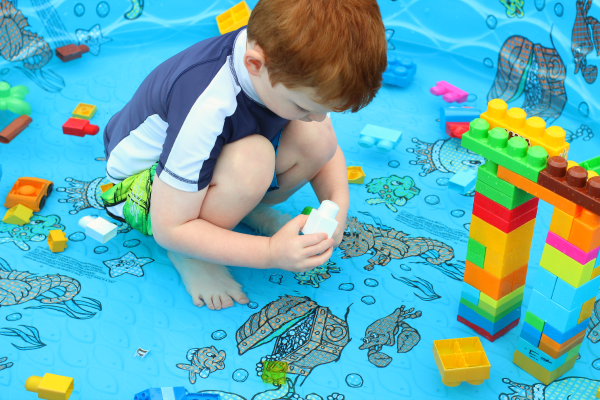 He learns best in a playful, hands-on learning environment. He can’t sit still for very long and doesn’t like doing worksheets. 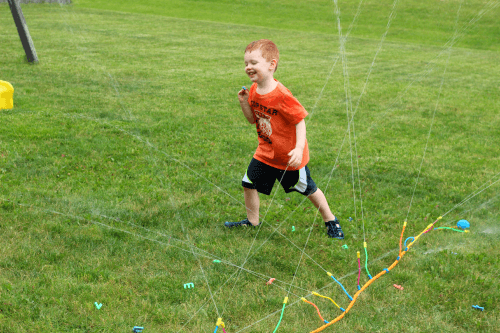 For him, active, move and learn activities are super important. He also loves to draw. Finally, he really likes playing games. So I know that I want to include lots of activities that allow him to be active, to play games and to draw. Overall, I plan to keep our lessons playful and hands-on. That doesn’t mean that is all we will do. I do want to encourage him to try activities that are outside of his comfort zone or aren’t as well-liked. However, at this age especially, I want to tailor the learning to his specific likes and needs quite often. I encourage you to stop and think about your child’s likes, learning style and specific needs. What type of learner is my child. Click here to take a learning personalities quiz from Scholastic. 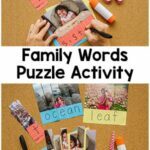 What does my child like to do for fun? What is my child interested in? What does he/she need more practice with? Once you know what type of learner your child is and what they like to do, it will be so much easier to plan lessons and activities that your child will enjoy and learn from. You may have to ask yourself these questions monthly or quarterly because children can and do change very quickly. What works now may not work three months from now. I learned this last year! How Should I Structure my Day for Home Preschool? Next, I sat down and looked at my day and how I wanted to structure it. I don’t like having every minute planned because I also have a toddler. Plans that structured just don’t work for us right now. I plan on doing a quick 10 minute “circle time” for calendar, weather, songs, etc. to begin the day. Then we will have 2-3 blocks of time where we will work on a specific subject with breaks and play time in between. I don’t have a set time for the blocks because that will change as needed. The two most important subjects I want to cover are literacy and math. Keep in mind, that lots of other subjects can be integrated with literacy and math. 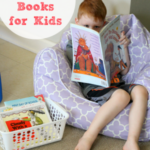 I can plan an activity for our literacy block that also requires Evan to practice fine motor skills while learning about community helpers (social studies). Or I could plan a math activity that encourages him to use a particular gross-motor skill such as kicking. In addition to math and literacy, I have another block of time set aside for structured play. 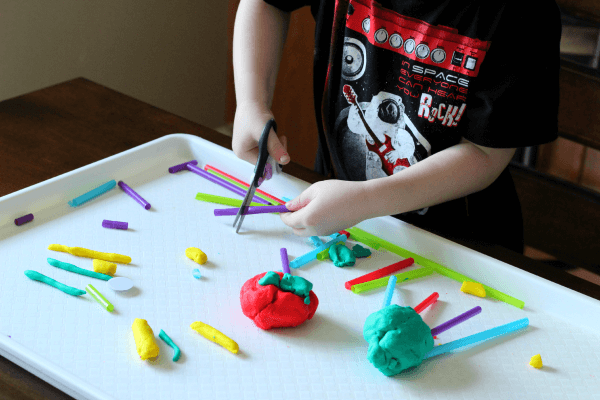 This could be something like setting up a science activity for him to explore or a sensory bin to play in. It might also be a pretend-play setup or a fine motor tray to play and create with. This block can be used to cover a variety of subjects from science to writing to art and social studies. Now you may be wondering how long each block will be. I am thinking each block will simply be one or two hands-on activities. Most activities last about 15-20 minutes each. Sometimes more, sometimes less. The literacy block will be slightly longer because I plan to include some read aloud stories that go along with our theme at the time. 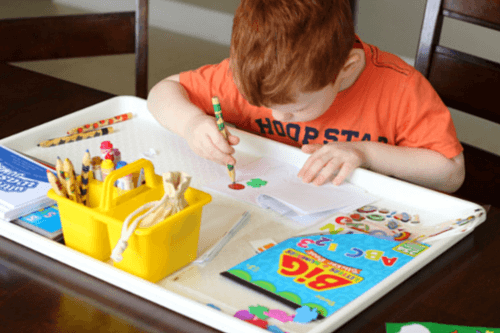 What Activities Should I Do With my Preschooler? That brings me to themes. I am not one to stick with one theme for a whole week and prefer to have more variety or use literature as a launching point for activities as well. I will use the themes that the Early Childhood Education Team has planned for the year as a loose guide, but will also follow Evan’s interests as much as possible too. 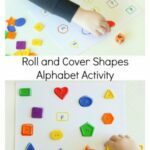 If you would like more info about what types of activities you can do for each subject, check out this awesome preschool brainstorming sheet from Kim at Life Over C’s. I plan to use all of these kinds of activities throughout the year. I will also check out my Pinterest boards and develop my own ideas to plan for each week. 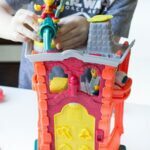 In addition to all of this, he has lots of independent play time with toys and games that encourage learning such as: blocks, LEGO, puzzles, play dough and board games. Art supplies are almost always available for him to write, draw, color or create as he pleases. Well, there you have it. 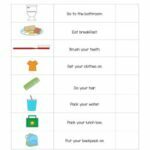 My guide to planning for preschool at home. Stay tuned for a printable planning sheet I am working on! 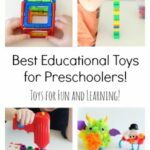 Check out my Top 10 Learning Supplies for Preschool post for a list of my must-have supplies for teaching preschool at home. 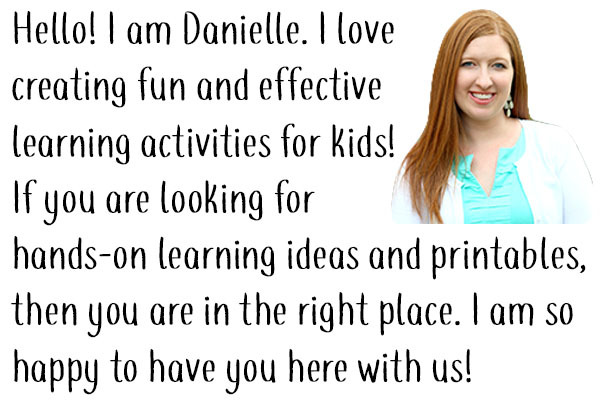 Make sure to follow me on Pinterest because I am always pinning awesome learning activities for preschoolers! One of the best ways to plan your preschool at home is to follow along with the Early Childhood Education Team (formerly PLAYful Preschool). Every Wednesday, we will post playful, hands-on lesson plans for literacy, math, writing, science and much more! Each week will have a new theme and all of the lesson plans will fit that theme. We hope it will be a fantastic resource for you. Make sure to follow #TeachECE across social media to stay updated with everything. Be sure to check out all of the Back to School posts from the team below! Is there anything you think I am missing? How do you plan for home preschool? What tips can you share?